On May 26th Bill O'Reilly of Fox "News" called in during Don Imus' radio show and expressed bewilderment about why the left "hates" Glenn Beck. The exchange between the two is interesting to hear how a "policy guy" like O'Reilly perceives his friend Beck and the extent to which O'Reilly seems to lack empathy or basic understanding for those who Beck points his guns of propaganda toward. For O'Reilly, Beck is an entertaining guy who "apologized" for calling the President a racist. First of all, listen to the supposed "apology" and ask if you hear the words sorry or I apologize. This interview with Chris Wallace took place the day after Beck's massive rally on the Washington Mall which was scheduled on the anniversary of Martin Luther King's "I have a dream speech." It first needs to be written for the record that hatred is too strong of an emotion to have toward Mr. Beck from this corner of the Internet. There is strong contempt for Mr. Beck fueling the effort to make the case that Beck's rhetoric is destructive to the nation. It is a great relief to have Glenn Beck departing from Fox at the end of this month, but the effort behind "share this url about Glenn Beck dot com" was not to boycott or destroy Mr. Beck. The effort behind this Review is to warn citizens about Glenn Beck's self-serving rhetoric and his dangerous, divisive, deceitful and vitriolic propaganda. Just because Beck has the right to lie, smear and distort people's understanding of reality does not mean that it is a good idea to accept Beck's distortions. For that matter, it's not right to allow it either, and Fox would not have for this long if it was a conservative news site. creates false narratives often depicting the liberal President to be "radical"
No doubt, other progressives could add to this list. One wonders if this list is insufficient to the faux, tough-guy persona that Mr. O'Reilly projects. If these reasons are perceived as not warranting hatred by the people that Beck is lying about or their supporters, then Mr. O'Reilly can also consider a couple more points about Mr. Beck that rubs the left the wrong way. To casually watch Beck as people on Fox apparently do, they may not perceive that he is a fraud since he demonstrates hypocrisy on the order of "only" twice a month; but is he really a charlatan? Beck comes across as a learned man who knows a lot, but he has had virtually no post-secondary education where critical thinking, logic and reasoning skills such as dialectical analysis are learned. Beck seems to discuss ideas that are his own, but in fact he uses ideas taken from conservative and reactionary sources often without giving any attribution for the source. Beck spent the majority of his life preparing to be a dramatic radio star, not a news commentator. He made the change to talk radio when he could see where the money was to be made: the riches of national syndication, not the making-ends-meet money of local, morning zoo radio. The goal for Mr. Beck seems to be his personal fame and wealth, not helping the nation and certainly not to promote national unity in a time of war against people out to kill Americans. Mr. O'Reilly could consider the many hypocrisies that have been documented here, 24 in the course of just over a year. Any pol, left or right, would become a has-been for showing that degree of insincerity and fraudulence, but Mr. Beck doesn't need to stand before anyone but his gullible and manipulated followers, who have been taken in by his dramatic flair, convincing style and who share with Beck the sheer hatred for this President, people who would rather believe him than do some simple fact-checking. Beck is believed because his ignorant followers want to believe him and have been programed to believe him, not because he is honest. Beck is a far-right reactionary with fake principles and genuine values (perhaps), who mixes facts, fictions, spin, hyperbole and the rest of the list above in an overly dramatic, manipulative and convincing manner in order to build exaggerated need for opposition to the President who wants to solve the nation's problems. Mr. Beck and Mr. O'Reilly do not approve of President Obama, but that is no excuse to associate Lucifer with him! To demonize Obama as an "other," an "anti-colonialist," when he is just like you Mr. O'Reilly, a proud and patriotic American with an agenda, is appalling, deceitful, deplorable and unacceptable. Whatever the President's faults, he is not trying to destroy the country; but you cannot tell that to any of Glenn Beck's loyal and unsophisticated supporters. Like many of the viewers of Fox, they have been convinced of lies being told about the President day after day, 24/7/365; only Mr. Beck's lies are whoppers and dangerous. Another consideration that may matter to many on the left is Beck's talent for what he does. O'Reilly considers Beck a genius as a marketer, and that genius is applied mostly to marketing Glenn Beck. In his book about Beck, author Dana Milbank considers Beck an entertainment genius. (1) By applying his enormous talent, his genius, to the ideological concerns of the far right (reactionaries), he is understood here as a genius of propaganda. He is not well educated or particularly well informed, so the better understanding is that he is an ignorant genius addressing those who hate and distrust the President and deepening that hatred and distrust. 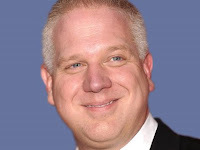 Where conservatives may disagree with Obama on pretty much everything, Beck's reactionary audience have a visceral hatred of the President; and thus Glenn Beck is an ignorant genius of reactionary, yellow propaganda. Despite Beck's willingness to step on his libertarian "principles" when convenient, Beck is nonetheless brilliant at getting millions of working and middle class Americans to act on behalf of the Koch brother billionaires. Beck is an effective tool for the Koch brothers' agenda: corporate plutocracy. He is so concerned about the Republic, but he is blind to the real threats to the operative mechanism that gives this Republic legitimacy, i.e., its democratic mechanisms. That is until election season when he inspires his tools, his minions, his 9-12ers activists to work for tea party (pro-corporate) candidates. There is nothing immoral or wrong with this, but the effectiveness with which Beck (and all of Fox News really) turns working people against their own self-interest is another point to consider when understanding why the left feels how they do toward Glenn Beck. Beck's genius has inspired three thwarted assassination attempts, Mr. O'Reilly. How violent and seditious does someone need to be for you to intellectually grasp the emotion of contempt or hatred toward that person? Bill O'Reilly doesn't understand. It is apparent that Mr. O'Reilly has no empathy for people that he considers wrong on the issues, people he arrogantly calls "pinheads." That's not surprising. Conservatives are not well known for their empathy, for their ability to get inside the minds of other people outside of their immediate circles. That would require a genuine effort to put the shoe on the other foot. That requires imagination. Mr. O'Reilly needs to use his imagination for a few seconds and try to understand how he would feel if the situation were turned around. Instead of a reactionary attacking a Democrat as the "other," a fascist, radical Marxist, O'Reilly needs to imagine if MSNBC had a dramatically talented and extremist version of Micheal Moore talking about a duly elected Republican president. Imagine this guy, call him Mic Mann, falsely painting the Republican president as elected by whites, for whites and out to destroy the black people. Mr. O'Reilly can keep his imagination engaged, because Mic Mann is an uneducated Communist agitator pretending to be an "informed" commentator and "thinker," who is constantly bad mouthing Fox as a voice of corporate, fascist overlords and basically nothing more than cheer-leaders for the "white-supremacist dictator" in the White House. Continuing to imagine Mann's mesmerizing style, he encourages people to form a special organization based around values that Mann considers important. Exploiting a horrific national trauma, Mann calls his organization of comrades the Pearl Harborers for Justice to signify the anger and hatred that was felt by the nation at the time. Pearl Harborers for Justice units spring up across the country for the purpose of promoting equality (Communist ideals) and building opposition to the "fascist" in the White House who acts more like, according to Mic Mann, a Nazi German than an American. Mic Mann's strategy, Mr. O'Reilly, is to link all conservatives -- like you -- to fascism. Mann declares that the conservative movement is a cancer that must be cut out of America before the nation is destroyed from within. Mann waxes elegant and convincingly that the new Republican President is nothing more than a puppet of the Koch brothers, and that they are evil and gay with each other. Mann then smears the Republican, day after day, as an extremist who is probably gay himself and "married" to a woman only to hide his gay relationship with the "evil" Koch brothers. Imagine, Mr. O'Reilly, that Mic Mann is not just highly entertaining, a goofball and a self-described clown, who insists that he tells the truth, over and over and over (even though he's clearly lying through his teeth about the Republican president, conservatives and Fox News), but that he is also a very manipulative propagandist. Imagine how Mr. Mann uses Maslow's hierarchy of needs to manipulate his ignorant and misinformed viewers to program their minds in opposition to the "extremist" President, his fascist staff and their secret, "gay agenda." Imagine Mr. Mann deceitfully creating or deepening anger and hatred toward the Republican president, his party, Fox News and the entire Administration not because he wants to unite the country, but in order to increase is own fame and wealth no matter what the cost to the national unity and purpose. Imagine, Mr. O'Reilly, that Mann encourages the Republican president to establish a no-fly zone to help the rebels fighting against a vicious dictator only to turn around after the establishment of that no-fly zone and accuse the president of working hand in hand with the nation's sworn enemies, "sympatico" with terrorists for doing so! No matter how often the Republican president makes the effort to reach across the isle to work with Democrats, Mr. Mann is describing him as extremist, un-American, out of touch with all but the fascists behind him and "other," not like "you and I." O'Reilly needs to keep his imagination activated to see Mr. Mann repeatedly and deceitfully edit video of the Republican president speaking to make it seem like he's talking about subjects that he is not, to make it seem like he is plotting destroy unions when he is not. Imagine Mann describing the coalitions that work together to help promote Republican causes as a crime syndicate. Continue to imagine how Mic Mann uses every known element of propaganda to undermine the Republican president, and keep in mind that this is occurring while the country is engaged in two wars. If this is not enough for O'Reilly to feel strong dislike for Mr. Mann, then he can imagine Mann "joking" about killing political opponents including the Republican Speaker of the House and, Mr. O'Reilly, killing you with a shovel. Not such a funny joke, it it O'Reilly? What would Bill feel about one of Mann's inspired ideologues, who is down on his luck and jobless, going on a killing spree in order to "start a revolution?" What if Mann described himself as a conservative hunter, Mr. O'Reilly? Would that be "entertaining" or promoting civil strife if not civil war in your mind? If Bill O'Reilly can put himself in that frame of mind and imagine what that would be like to have a radical propagandist attacking a Republican President that Bill supports and/or admires by employing lies, distortions, flip flops of opinions just to oppose the occupant of the White House not matter what he actually does, smears and other false claims stemming from a lack of real knowledge, day after day, primarily to promote Mr. Mann first; then he can -- perhaps -- understand just a hint of the emotion that supporters of that Republican President, or opponents of disgusting, deceitful, yellow propaganda might feel toward the imaginary Mic Mann. If hate is too strong of a word to convey how Republicans and libertarians would feel toward Mann, Mr. O'Reilly, then how about contempt? Is that too strong of a word for conservatives to have toward a self-promoting, hate-inspiring fraud with an extremist, undemocratic, anti-Republican agenda? O'Reilly may counter with an accurate observation that this analysis is not the whole truth about Glenn Beck, and he would be correct. It is not. This is, however, the truth about Beck from the critical perspective of the left. This is an explanation of why Beck is hated and/or held in utter contempt. Hopefully, using the thought exercise above, Bill O'Reilly can get an inkling about how Beck is perceived by his targets of hatred and smear. This, too, is part of the truth about Glenn Beck, the perspective that is largely shared by his critics. Is O'Reilly capable of understanding the feelings toward Beck from the left now? Only he can say, and he probably will not. It is a safe bet though that O'Reilly would use his Fox stage to accuse Mr. Mann of treason and inciting sedition. All Mr. O'Reilly has to do is put the shoe on the other foot to understand how the left feels toward Glenn Beck.